First off, I wanted to thank each and every one of you for following along with me on this journey. It's been an absolute blast! 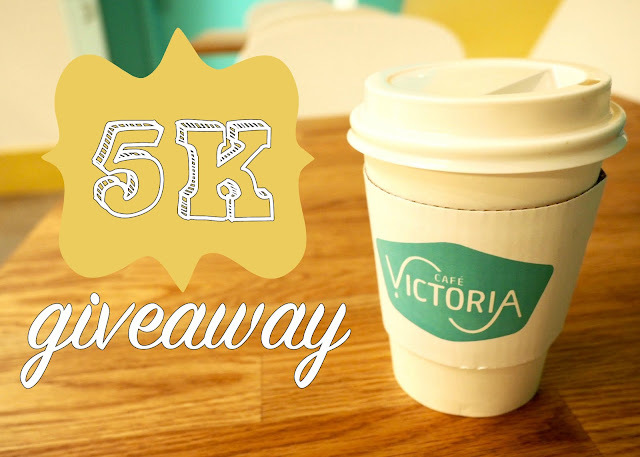 This week, I reached 5k followers on Instagram, and I'm celebrating with a giveaway! Earlier this week, I shared this new little coffee shop, Cafe Victoria, that opened up in Victory Park just this past weekend. We have teamed up and are excited to bring y'all a chance to win a $20 gift card! 1. Tag a friend on my Instagram post. Each tag will count as an entry! 2. Follow @thefindingdallasblog & @cafevictoriadallas on Instagram. 3. For an extra entry, subscribe to my blog by entering in your email! The winner will be announced on Sunday. Check back here or on the Instagram post!